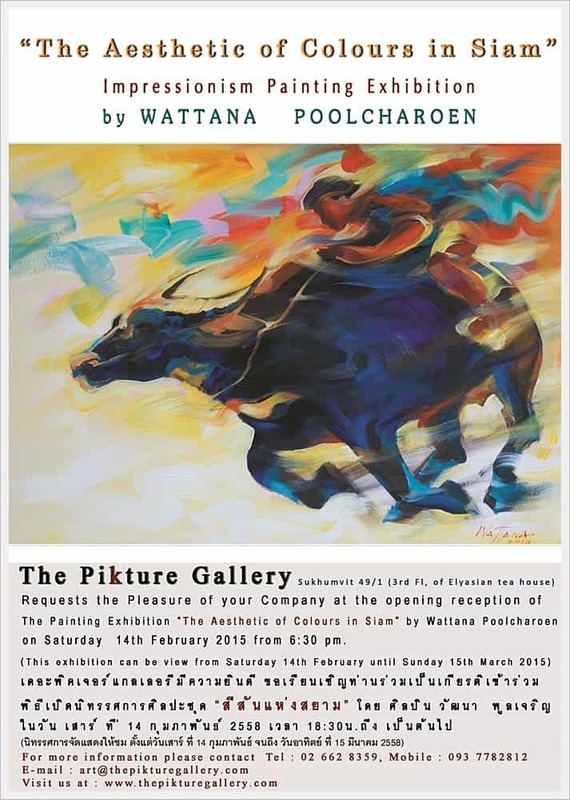 Please join us for the opening reception on Saturday 14th of February 2015 at 6:30 pm. Colour. It is an element so vital for this living world and for human beings to co-exist. It is a crucial catalyst to help us open our eyes to the different components of story telling and identity. For an artist, it inspires to create and express the art onto a canvas. The heart and soul to an impressionist is the endless possibility of the colour palette. I would like to convey those feelings into The Aesthetic of Colours in Siam ; showcasing the greenery and nature scenes, the simple organic life and the once forgotten Thai culture for all to reconnect. Open Tuesday – Sunday 10:00am. – 7:00 pm.